As a reputed Exporter and Supplier, we are offering to our customers with Nickel Alloy Plates. 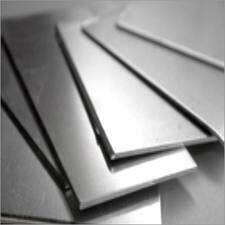 We offer these Nickel Alloy Plates in different specifications suiting different industrial applications. Some of the variations in our Nickel Alloy Plates are Nickel 200, Nickel 201, Inconel 600, Monel 400, Incoloy 800 / UNS NO. 8800 / UNS NO. 8810, Inconel 625, Incoloy 825, Hastalloy C / SAE-276 and S.S. 904L / UNS NO. 8904. We make sure that all the products are delivered on time.